SUCCESS! On 20 September two complimentary copies of ‘Closure’ dropped through my letterbox. 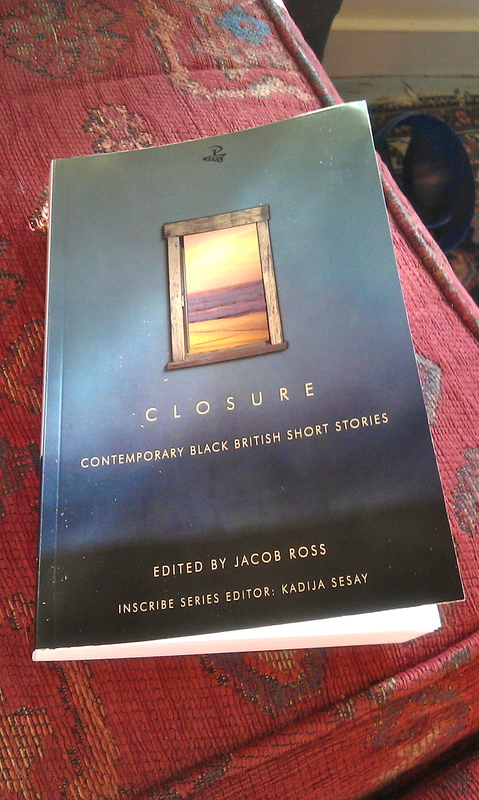 I am still recovering as one of the successful writers in this anthology of Contemporary Black British Short Stories alongside Fred D’Aguiar, Leonne Ross, Monica Ali and Bernardine Evaristo. What a serene experience and having achieved this milestone. The book is published by Peeple Tree Press edited by Jacob Ross and Inscribe series editor Kadija Sesay. There are gems in this anthology and reading them felt like discovering hidden parts of my life. It’s been 15 years since a Black British anthology was published and it is more than timely for these contemporary stories to be part of mainstream literature. I enjoyed reading ‘A Note from the Editor’ that puts Closure into context and provides a sharp critique – thank you Jacob Ross! My story is called ‘Secret Chamber” and deals with three characters who would usually never meet, but particular circumstances bring them together. I encourage you to buy Closure; it will be a treasure for many years to come. There will be an official launch in January 2016 at the Guildhall Art Gallery as part of the No Colour Bar, Black British Art exhibition. More to come nearer the time. I was fortunate to have been invested by Arts Council England to further my creative writing career in collaboration with a number of partners including INSCRIBE http://inscribewriters.wordpress.com and in my own capacity. The period was filled with an international exchange as part of a writer’s cohort with Fringe Saint Lucia http://www.fringestlucia.com and Brighton Fringe http://www.brightonfringe.org in May 2014 for readings, performances and exploring future opportunities for collaborations. Furthermore I travelled to Berlin to engage with Black German writers for research, alongside spoken word performances, artistic activities including training to be an accredited coach. I am writing a collection of short stories with a view for future publishing. I also write poetry for the page and stage.